After a career spanning over two decades in the British Army living the honour and privilege of leading soldiers in the whole spectrum of conflict all over the world Steve found himself deciding that he wanted a more stable home life for his own three wee warriors. So the Army and he amicably parted company and he joined the North Sea Oil and Gas Industry just as it started it’s big slump in 2014. He is quite certain that there is no connection . . . .
​He came into the industry with an alternative skill-set and a specialist diving background and was in his own words ‘hugely fortunate in securing my current role as the Subsea Operations Advisor for Apache North Sea acting as the technical authority for the diving and ROV operations across the entire Apache subsea asset base’. 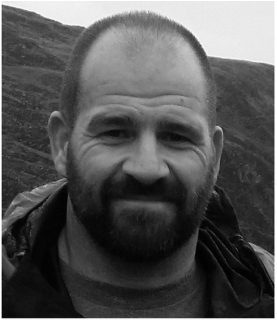 Steve now operates on a freelance basis providing diving, subsea consultancy and offshore client representative services for a number of clients. "I am looking for a mentee who is not necessarily sure the direction they wish to take – doesn’t necessarily have the ‘right’ background and has enough rough edges that mine won’t do too much damage and can handle candid even brutally honest advice and feedback. But most of all – you must have a sense of humour or we just won’t get on!!"